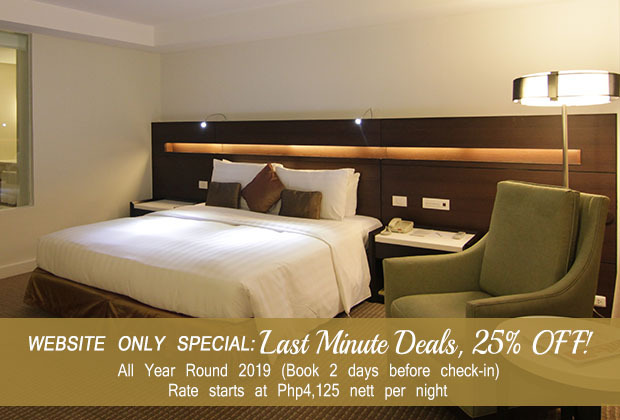 Make the most out of your stay with these exciting room packages at our hotel in Manila area. Time to put those mobile phones to good use. Take advantage of our mobile only deal and get up to 30% off your accommodation. You can never go wrong with planning ahead, especially if it gives you a pretty good accommodation deal. 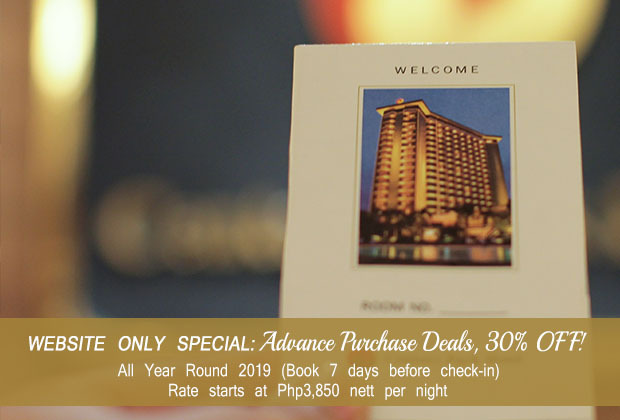 Reserve your stays as early as 7 days before check-in and get 30% discount along with a host of awesome inclusions. Pressed for time and forgot to book a room? We’ve got you covered! Book 2 days before check-in and slash 25% off your reservation with our last minute deals. 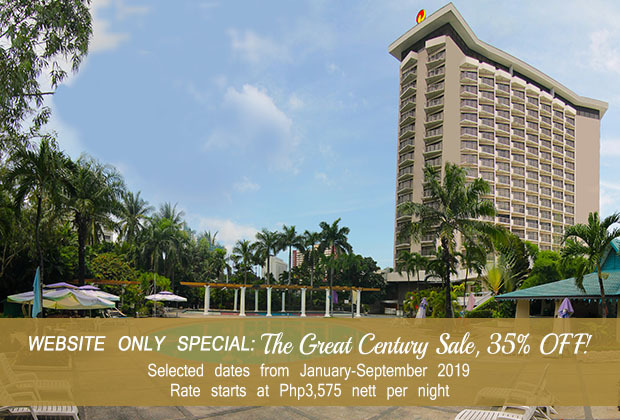 Take your family to an enjoyable city staycation without having to break the bank by taking advantage of The Great Century Sale. 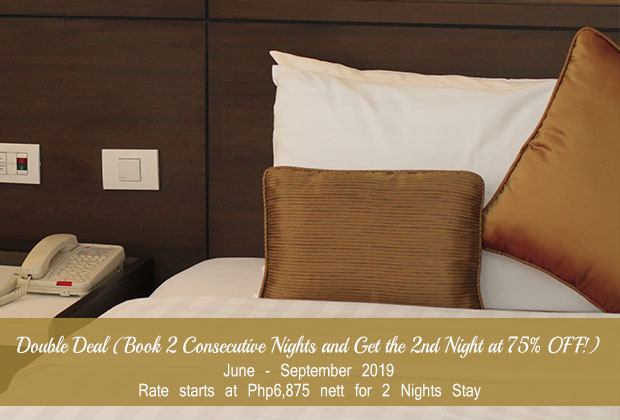 Enjoy room accommodation for 2 adults and 2 kids plus other perks for as low as PHP 3,575 nett per night. Make your summer even hotter with this Summer Lovin’ deal. 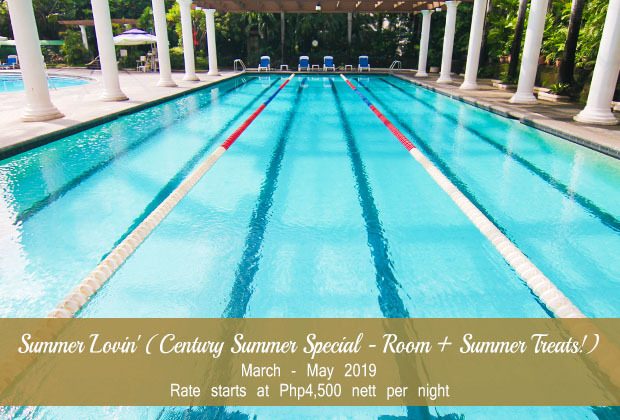 Enjoy a staycation at the heart of the metropolis plus a summer treat for as low as PHP 4,500 per night. Sometimes “One night only” doesn’t cut it. So why not extend your stay for another night? Book 2 consecutive nights with us and get 75% off your second night. We’re spreading the Christmas cheer this early with our Great Holideals! 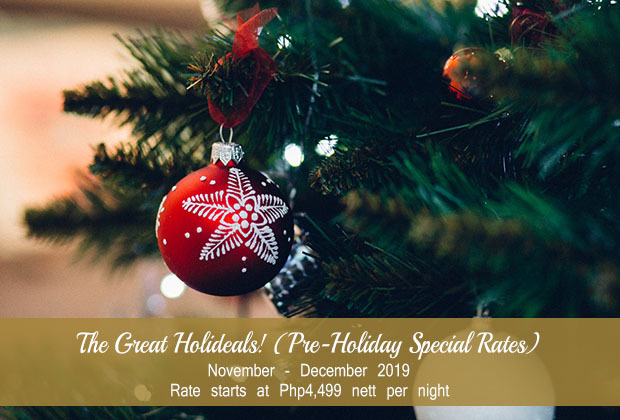 Stay with us anytime from November to December 2019 and experience the holiday spirit in the country’s capital for as low as PHP 4,499 nett per night. 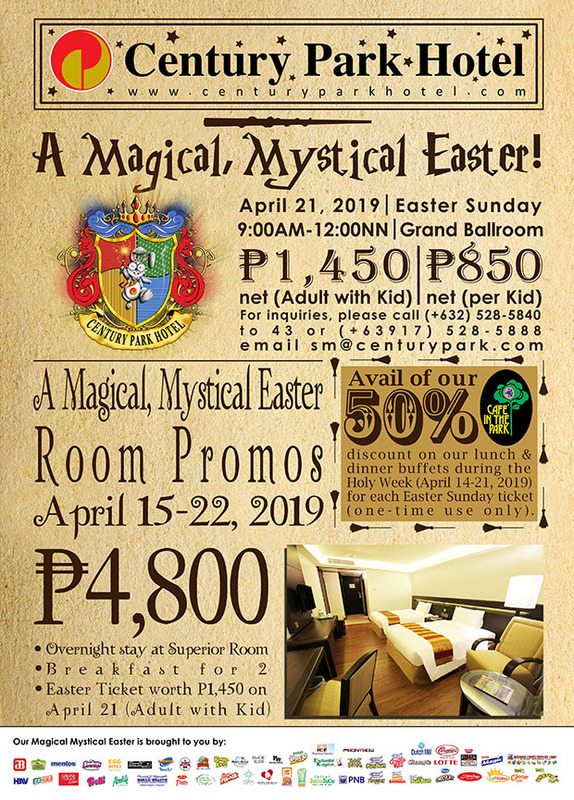 Embark on a magical and mystical time this Holy Week at Century Park Hotel. Check out our special rates for our Easter event on April 21! 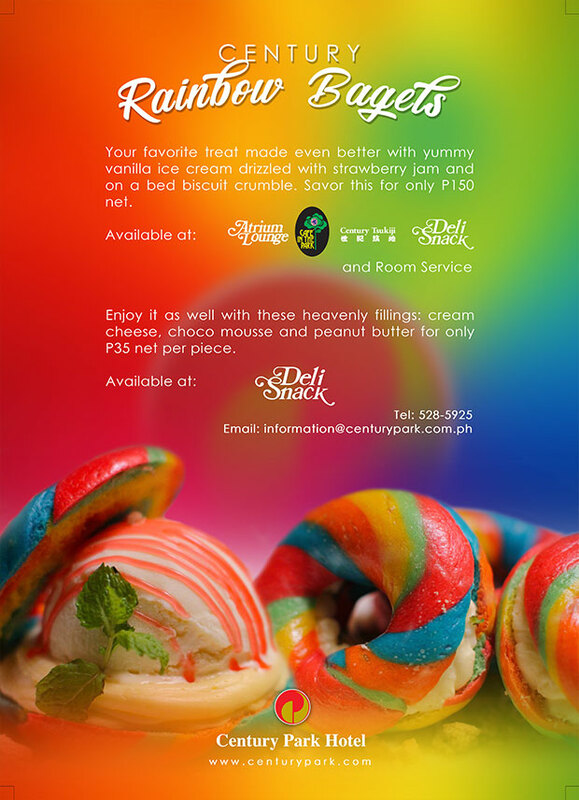 We also have special buffet and room rates starting at PHP 4,800 from April 15-22! Contact us today for more info! 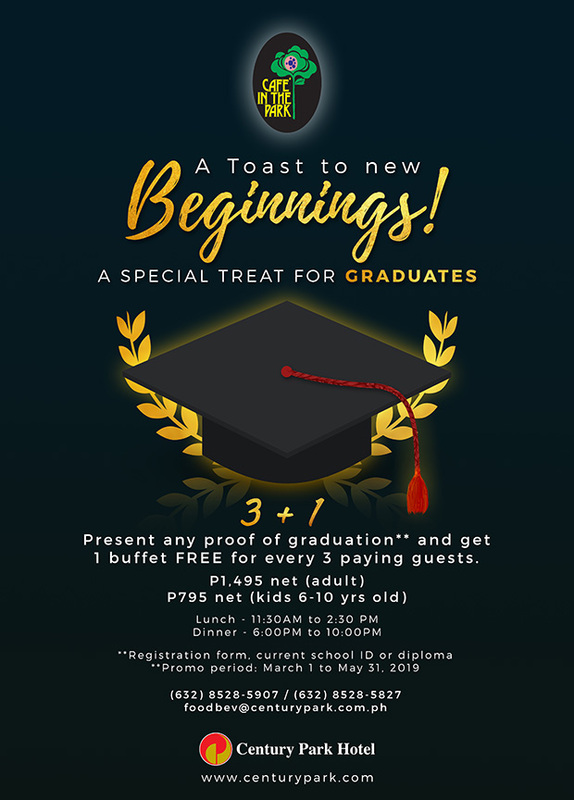 Present any proof of graduation and get 1 buffet FREE for every 3 full paying guests. Let’s celebrate Oktoberfest season! 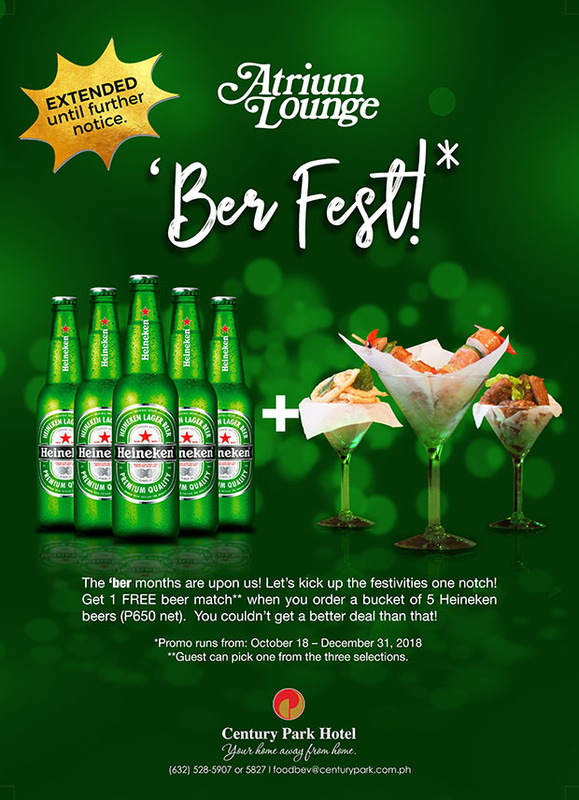 Get 1 FREE beer match when you order a bucket of 5 Heineken beers! Promo is good from October 18-December 31, 2018. Add more to your coffee break and pay half the price! To satisfy your afternoon snack delight, try out some of our tasty pastries and desserts at the Deli Snack. 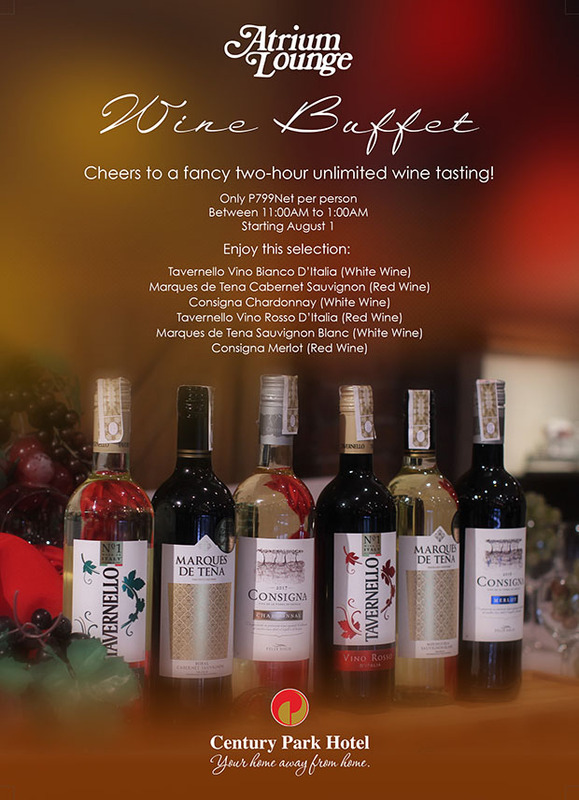 You don’t have to be a connoisseur to experience unlimited wine tasting. Try our Wine Buffet and have your way to your favorite wine selections. Japanese food for ABURI-one! 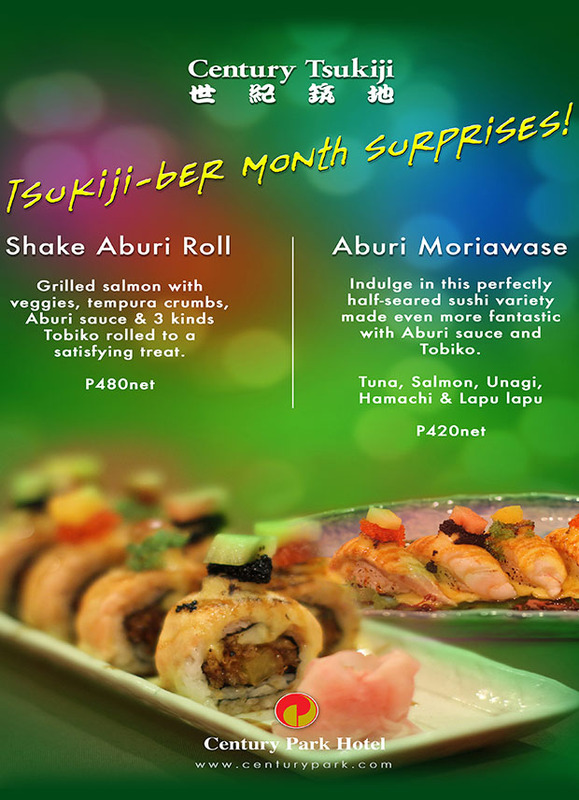 Lavish on these sumptuous dishes and satisfy your cravings for Japanese cuisine! Itadakimasu. 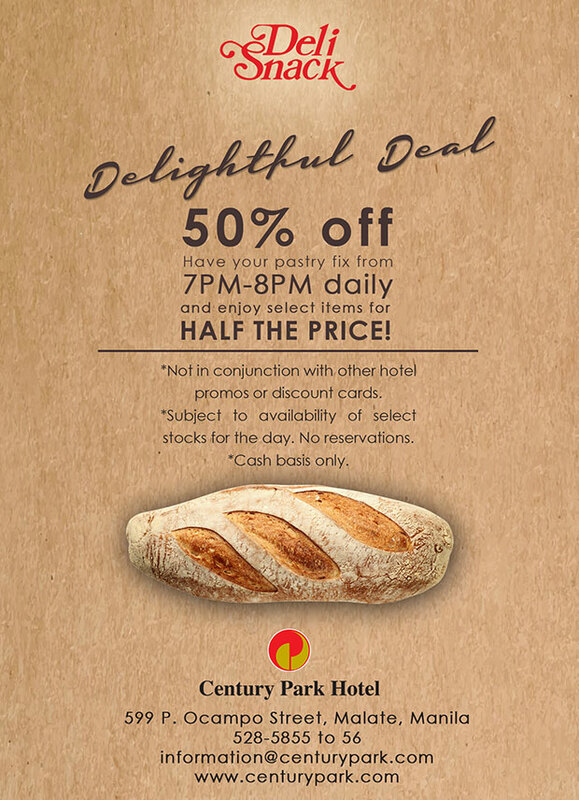 Buffets are better when prices are 50% off! 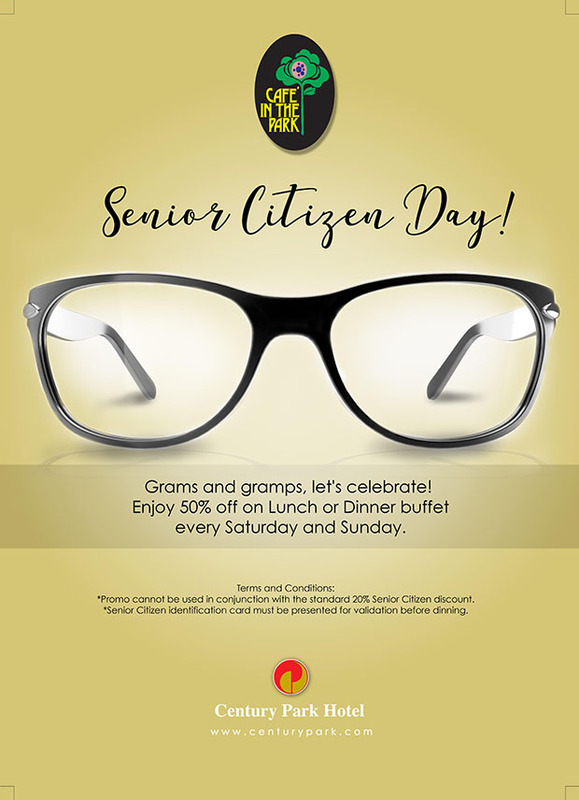 Senior citizens can dine in Café in the Park every weekend to avail of this great deal. Eat to your heart’s desire with our luxury buffets at Café in the Park. Sushi, mains, salads, and desserts – you won’t run out of dishes to choose from when you dine with us for breakfast, lunch, or dinner. Need more travel credits? Go the distance and take this deal now! 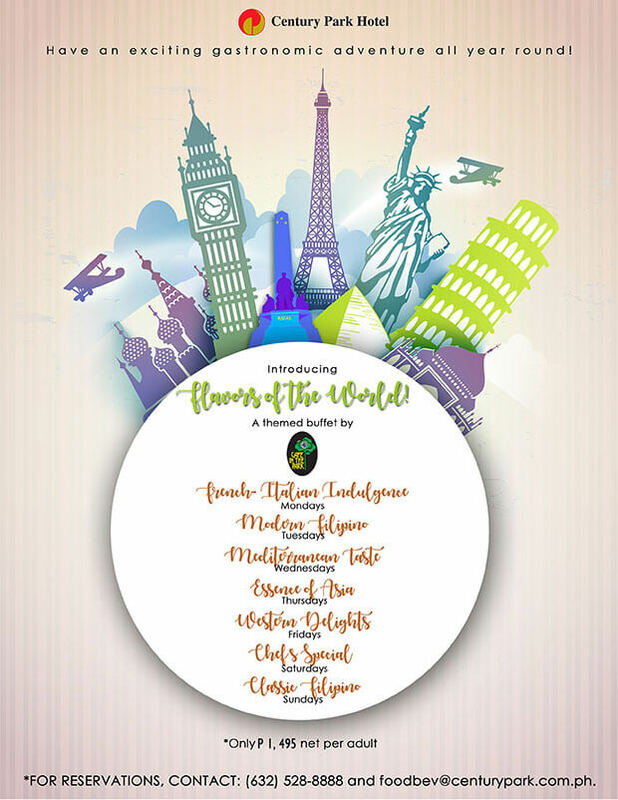 Be entertained with wonderful performances from our artists any day of the week! 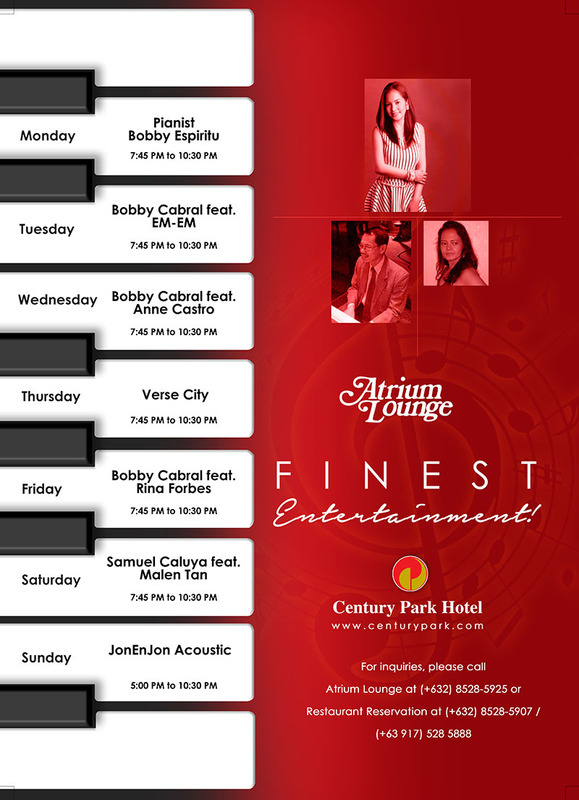 Watch pianists, bassists, violinists, and singers put on a grand show for you at the Atrium Lounge every afternoon from Monday to Sunday. 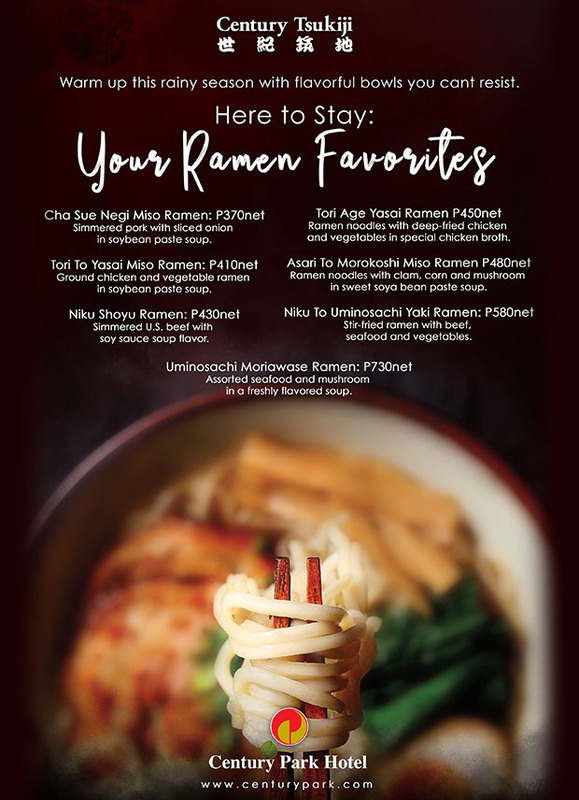 Whether you’re a hopeless ramen-tic or not, this promo is for you! Warm up your dinner with a flavorful bowls of your favorite Japanese noodles. Your favorite treat made even better with yummy vanilla ice cream drizzled with strawberry jam on a bed of biscuit crumble. Available in cream cheese, choco mousse, and peanut butter fillings. Have an exciting gastronomic adventure all year round. For reservations please contact us at (02) 528-8888. 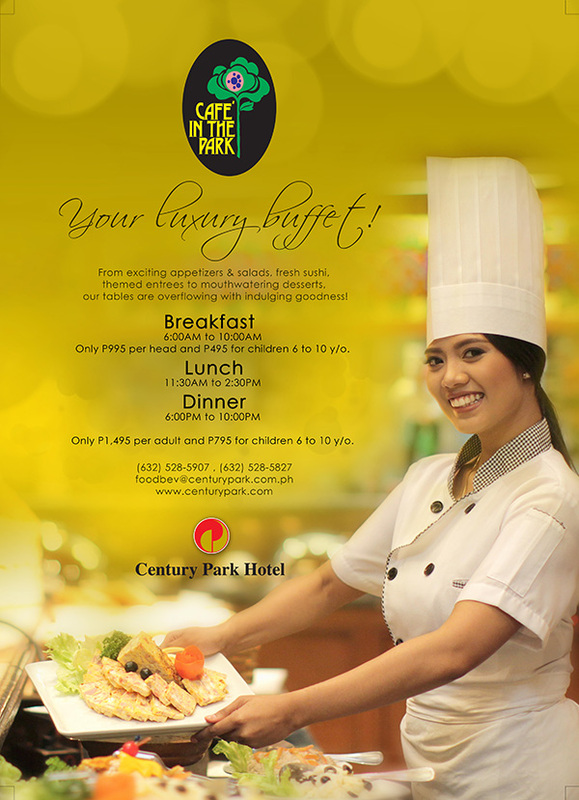 Experience a relaxing stay at Century Park Hotel Manila. 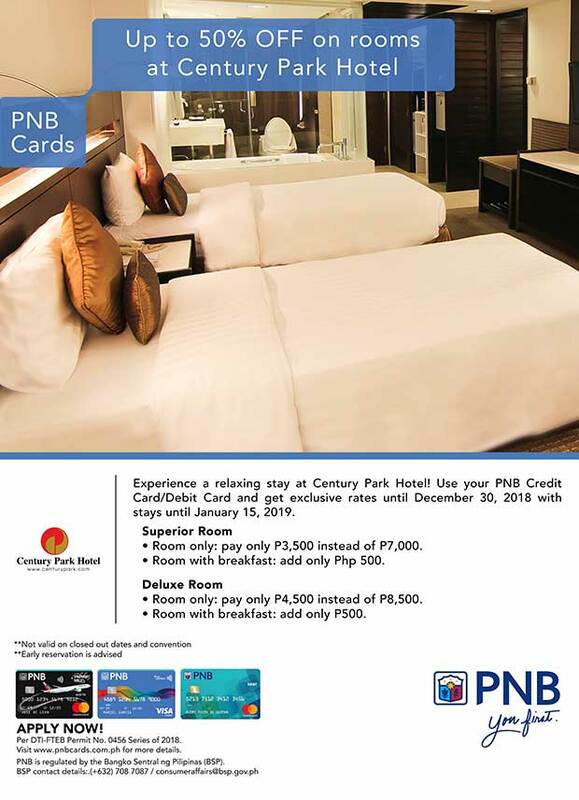 Use your PNB credit card/debit card and get exclusive rates until December 30, 2018 with stays until January 15, 2019. 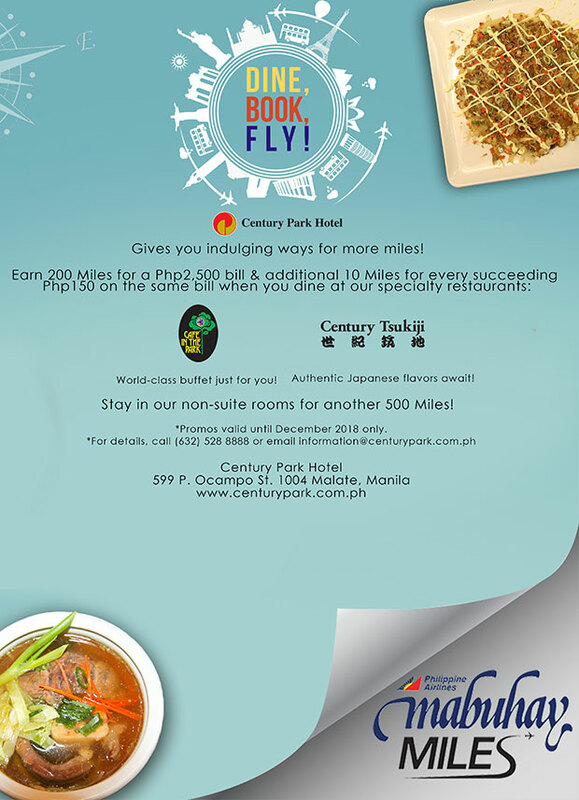 Experience an international feast at Century Park Hotel Manila’s Cafe in the Park. 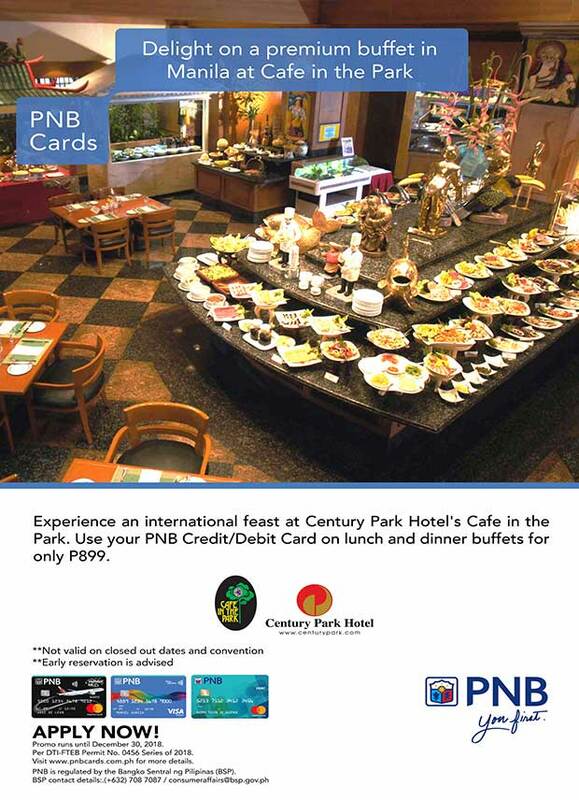 Use your PNB credit/debit card on lunch and dinner buffets for only Php899 nett per person. Ramen, the perfect comfort food. 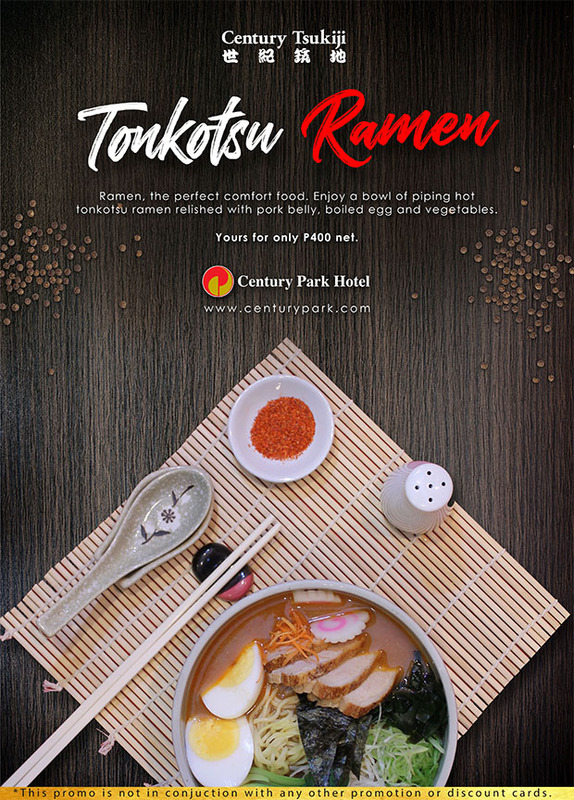 Enjoy a bowl of piping hot tonkotsu ramen relished with pork belly, boiled egg and vegetables.